Peggy C. Giordano is Distinguished Research Professor at Bowling Green State University. 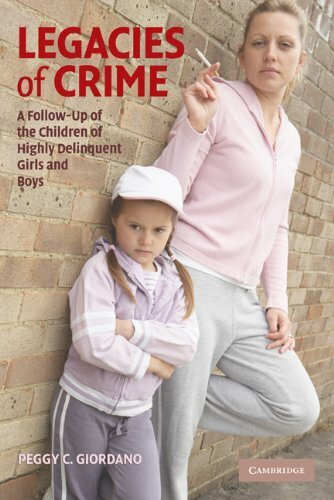 Her research - published in leading journals such as Criminology, the American Sociological Review, and the American Journal of Sociology - has long focused on the causes of juvenile delinquency, and particularly on similarities and differences in male and female pathways to criminal involvement. Her analyses of the adult lives of a sample of delinquent youth have twice won the American Sociological Association's James F. Short, Jr., award for best article, and this volume extends this research in a unique exploration of the lives of the children of the original study subjects. How Have the OLS Children Fared?